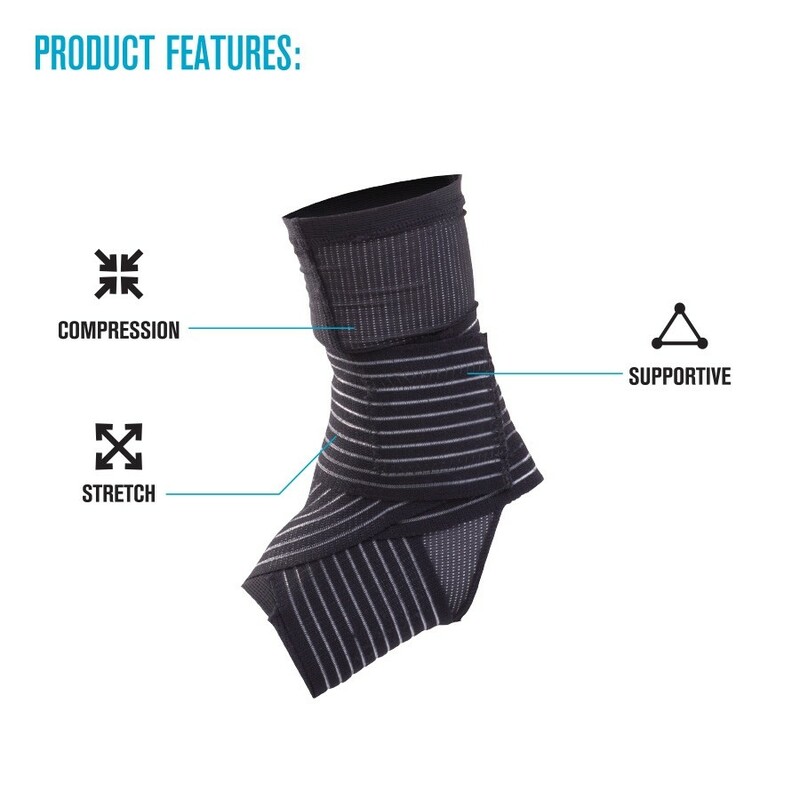 Compression ankle sleeve with figure-8 straps for moderate support. 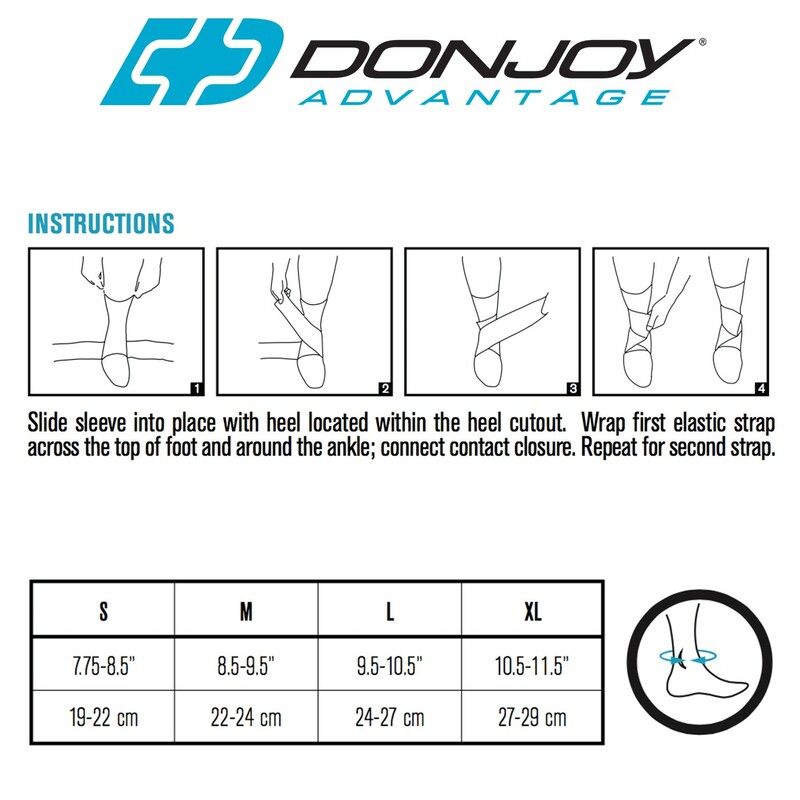 The DonJoy Advantage Figure-8 Ankle Support delivers comfort, breathability and compression. 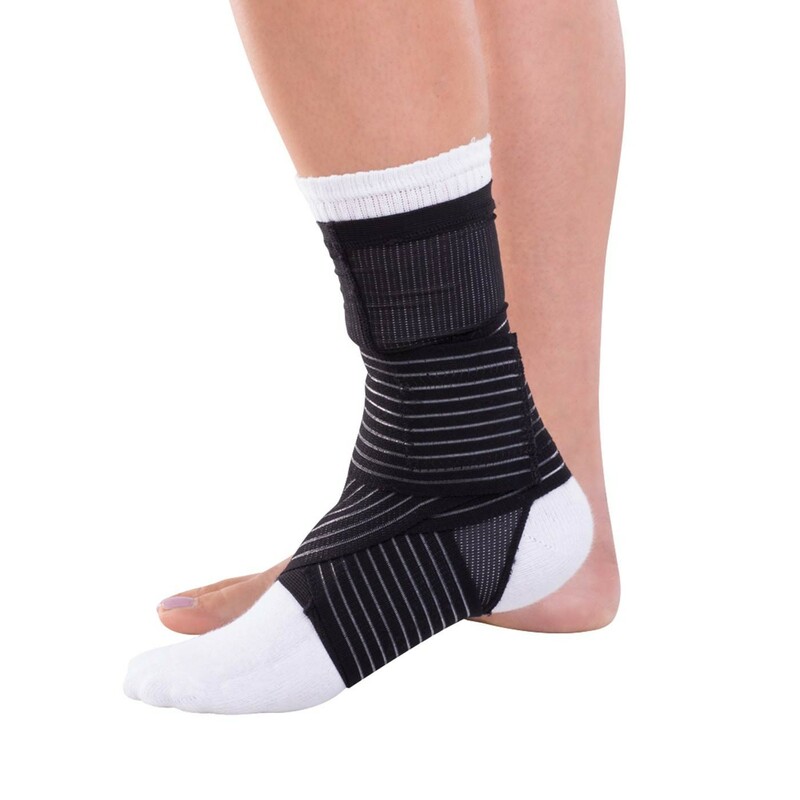 Constructed with figure-8 straps, this wrap-around and slip-on style brace stabilizes and supports the ankle and arch to reduce ankle pain and swelling due to sprains, strains or tendonitis. 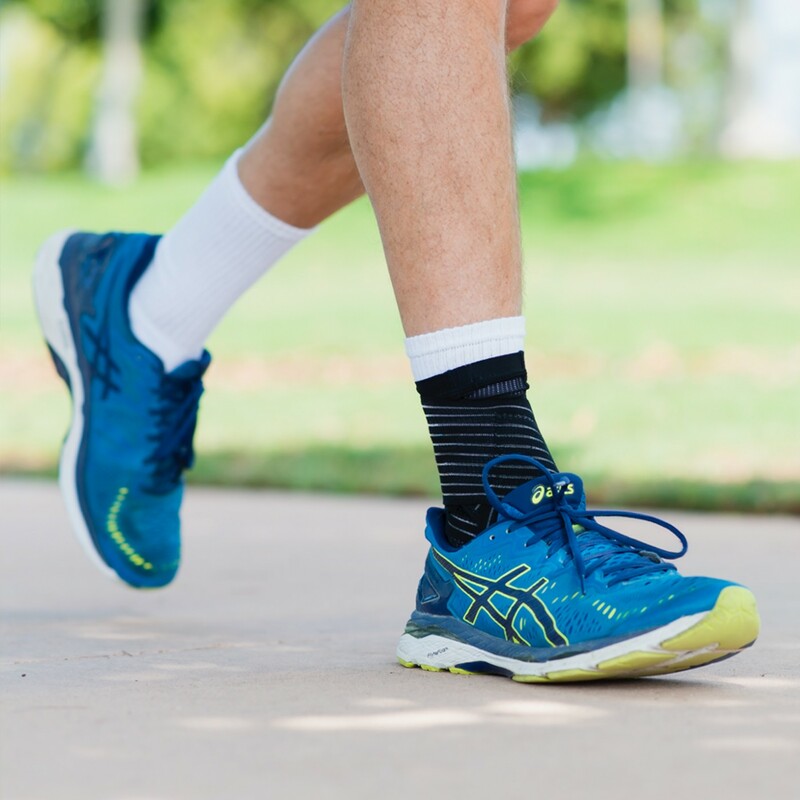 Its anatomical fit provides comfortable compression in a low-profile design and the open heel allows for an easy application. 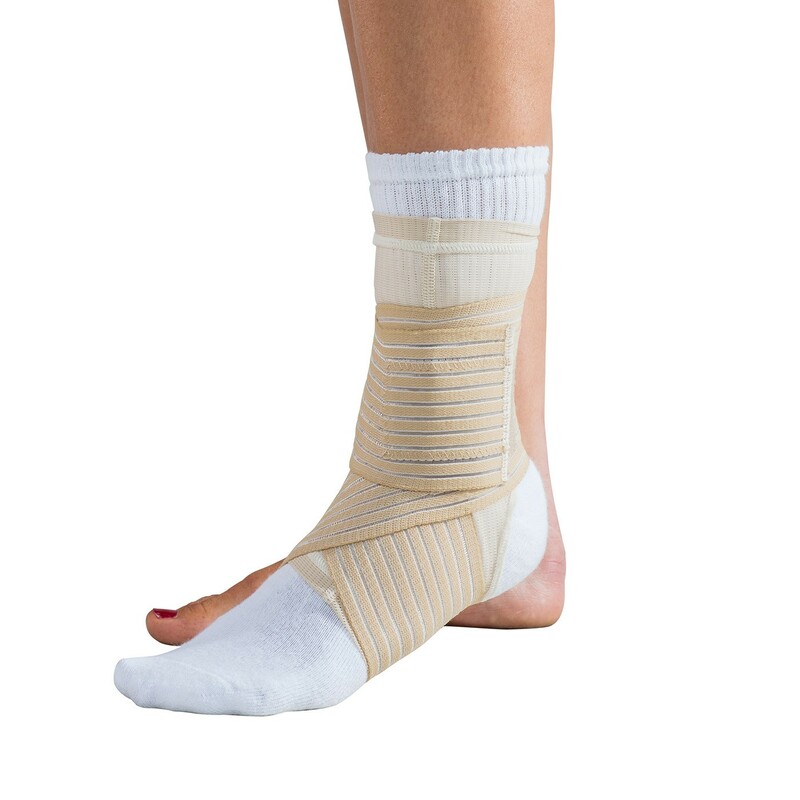 The soft, mesh Figure-8 Ankle Support fits in most shoes and can be worn on the left or right ankle. Size is based on the circumference of the ankle. Measure just above the ankle bone. Inches 7.75 - 8.5" 8.5 - 9.5" 9.5 - 10.5" 10.5 - 11.5"
I use this for an ankle that is healing. very supportive during physical activities that could lead to re-injury. Pros: Economical and well made.